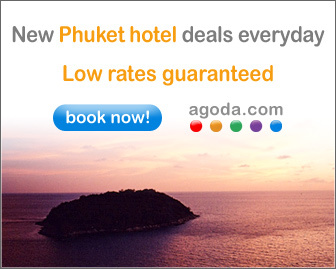 Get the word out about your hotel or property opening to thousands of hotel lovers eager to be the first to know about beautiful new properties in Thailand. Whether your goal is to let the world know of your impending or new opening, drive qualified guests directly to your booking engine, or simply increasing awareness of your brand, advertising with NewThaiHotels offers extended reach to highly interested consumers at cost-effective rates. Choose from any combination of website, newsletter and Facebook advertising to get your brand in front of people who have demonstrated an active interest in your market. Advertise for as little as USD25 per month! All options listed in this media kit can be purchased separately or we can customise a package to suit your marketing program. 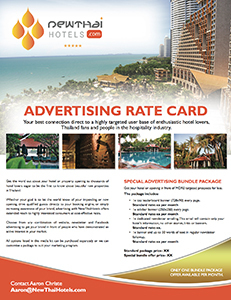 Click below to download the advertising rate card PDF with options, rates and circulation figures. Over 5000 impressions a day and over 150,000 impressions a month. Various spots available. Advertise in our monthly newsletter with banners, sponsored stories or even a dedicated mailing.